We are very excited that we are now able to offer the opportunity to complete the Residential section of your Gold Duke of Edinburgh (DofE) award whilst volunteering with Pod. We are an Approved Activity Provider for the Residential section which means that many of our projects have now been certified by DofE. The Residential is the final section of the DofE award which involves spending a minimum of 5 days and 4 nights away from home, completing a shared activity with people you have never met before. 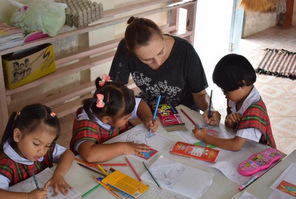 Volunteering overseas presents the perfect opportunity to do this whilst traveling, getting stuck in to exciting projects and exploring new cultures! 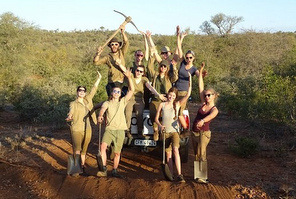 Whilst on your placement you will join a team of like-minded individuals, meet people from around the world and gain fantastic work experience whilst helping to support the work of our projects. You can see which projects you can join on our Find a Project page - just select DofE under Who Volunteers on the filter. If you are interested in learning more about our projects all you need to do is fill out an application form and let us know that you are looking to complete your Residential. You’ll then hear from one of our lovely placement managers who will be able to act as your assessor and advise you on the next steps to take.